The Fontenay seamlessly integrates Hamburg’s love for nature within its design and philosophy to create a hotel experience that is nothing short of unique. 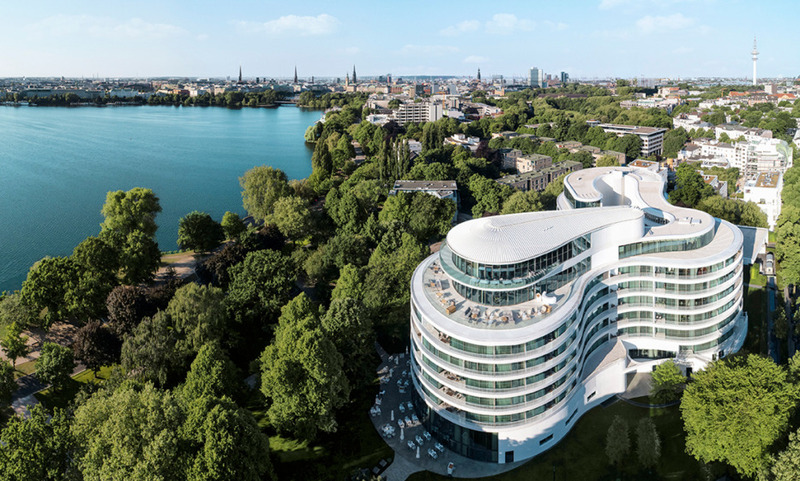 Located on the shores of Lake Alster, this modern hotel crystallizes the spirit of Hamburg by offering a cosmopolitan and relaxed atmosphere for its guests to enjoy. Find inner peace in its 1,000 square meter rooftop spa with incredible views over Hamburg, or rejoice in the epicurean delights of its three excellent restaurants. Book a night here, and experience Hamburg in a whole new way. Fantastic designs which integrates the beauty of nature and urban living. The panoramic views over Hamburg offered by its rooftop spa. The exceptional Michelin star cuisine of Executive Chef Cornelius Speinle.